Everyone knows that roof replacements are expensive. And the last thing you need, especially this time of the year is the financial burden of a roof replacement. Luckily, there are some things you have within your power that can prevent these unexpected and costly situations. Below are 3 steps to take to preserve your roof and keep it in tip-top shape. You don’t have to have an issue with your roof to take out a ladder and do an inspection. As they say, prevention is better than cure. If you are a homeowner you know just how expensive it is to keep it in good shape which is why it’s better to do regular inspections of your roof before you get stuck with expensive problems. The older your home, the more often we suggest you do an inspection. No roof is made to last forever but if taken care of, you can definitely extend its lifespan. Don’t wait too long for roof leak repairs and other issues should they arise. The elements of nature, as well as birds and pests, can take its toll on your roof and if you want to avoid an expensive roof replacement, it’s a good idea to fix small problems before they become big. Another way to ensure the longevity of your roof is to apply a waterproof membrane to keep out any moisture. Excess water is extremely damaging since it can cause structural failure caused by rotting trusses. 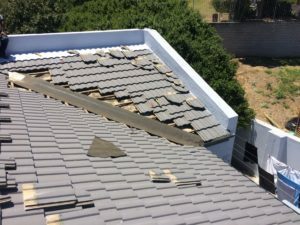 Not everyone is cut out for roof repairs and maintenance so if you’re in the market for professional, reliable and affordable roof repairs in Cape Town, look no further. Get in touch with the team at Roof Repairs Cape Town for a free consultation and quote today! The real cost of neglecting your roof. If you have a roof that’s in desperate need of repair, or one that’s past its sell-by date, it’s time to call in the professionals. Ignoring even the slightest damage to your roof can easily lead to damaging the structural integrity of your home or commercial property. It’s easy to ignore a missing roof tile or shingle, but you do this at your peril. What starts out as a small problem is definitely going to lead to something far more significant, which will result in major costs when you do decide to tackle repairs. Fixing the small problems and having a regular maintenance schedule in place is going to make a huge difference, especially if you want to avoid obvious signs that the roof needs to be replaced as a result of leaks that are ignored. If you live in an area like Cape Town then you know how heavy the rains are in winter, making it essential not to ignore even the smallest leak that gives water enough space to start wreaking its own damage. An old roof, or one that’s already damaged is going to lead to a lot more trouble than it’s worth if you don’t look after it. 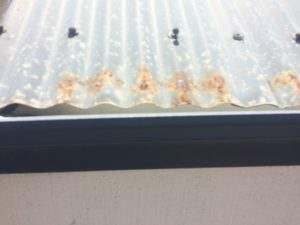 Once water has entered the roof, it pools in the areas its entered, and from there seeps into walls, causing the growth of mildew and mould, as well as leaving obvious water stains on the walls. Besides being very difficult to remove, mould comes with inherent health hazards which can be responsible for all manner of respiratory diseases. If you’ve neglected your roof for too long, it can become dangerous for the inhabitants. A rainy season that leads to a large amount of water being collected through a leaking roof will cause the roof to collapse. Roofs are only meant to handle a certain amount of weight, and when cracks are left untended, they allow too much water to enter and place excessive strain on the structure. Repairing your roof before it gets into this condition is definitely the wisest option to choose. No one is interested in buying a home when the roof is in serious need of repair or replacement. The knock you’ll take when you’re offered far less than the value of your property needs to be taken into account for as long as you live under that roof. Doing minor repairs will add up to a roof that looks good and is structurally sound, which is a great selling point. After all, it’s not just the garden that gives your home curb appeal. A well-maintained roof adds its own appeal too. Ross and Son Roof Repairs Cape Town understand the stormy, wet and windy winters your roof has to be strong enough to withstand, which is an important point to consider when choosing a roofing contractor in Cape Town. This team will be on hand whenever you suspect that trouble is brewing on your roof, to make sure you don’t end up having to spend a fortune on roof repairs or replacing your roof. Save yourself a lot of trouble by looking after your roof now, so that you’ll never have to spend more than is absolutely necessary to maintain the integrity of your roof well into the future.